Mischa Maisky has the distinction of being the only cellist in the world to have studied with both Mstislav Rostropovich and Gregor Piatigorsky. 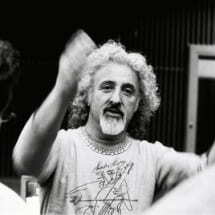 Born in Latvia, educated in Russia, after his repatriation to Israel, Mischa Maisky has been enthusiastically received in London, Paris, Berlin, Vienna, New York and Tokyo, along with the rest of the major music centers. As an exclusive Deutsche Grammophon artist during the last 30 years Maisky has made well over 35 recordings with such orchestras as Vienna and Berlin Philharmonic, London Symphony, Israel Philharmonic, Orchestre de Paris, Orpheus und Chamber Orchestra of Europe and others. His recordings have enjoyed worldwide critical acclaim and have been awarded five times the prestigious Record Academy Prize in Tokyo, three times the Echo Deutscher Schallplattenpreis, the Grand Prix du Disque in Paris and Diapason d’Or of the Year, as well as the coveted Grammy nominations. Truly a world-class musician and regular guest in most major International Festivals he has collaborated with such conductors as Leonard Bernstein, Carlo Maria Giulini, Lorin Maazel, Zubin Mehta, Riccardo Muti, Giuseppe Sinopoli, Vladimir Ashkenazy, Daniel Barenboim, James Levine, Charles Dutoit, Mariss Jansons, Valery Gergiev and Gustavo Dudamel, and his partnerships have included artists as Martha Argerich, Radu Lupu, Nelson Freire, Evgeny Kissin, Lang Lang, Peter Serkin, Gidon Kremer, Yuri Bashmet, Vadim Repin, Maxim Vengerov, Joshua Bell, Julian Rachlin and Janine Jansen, to name just a few.